This course refreshes and updates the First Aid skills of those who need to renew their First Aid at Work (statutory) certificate and whose existing certificate is still valid. A re-qualification course can be taken up to three months prior to certification expiry date. 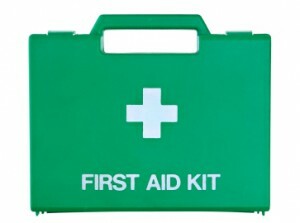 First Aiders whose certificates have expired must attend the full three day First Aid at Work course. A person who wishes to renew a valid First Aid at Work certificate. The course aims to update and refresh the student’s knowledge in as many areas of the full First Aid at Work syllabus as possible, while allowing time for revision and practice sessions in preparation for a final assessment. The course includes an update of First Aid knowledge and skills and a revision of requirements in the workplace. Theory and practical skills assessment. A First Aid at Work certificate valid for three years is issued on successful completion of course assessment.